He weighed in at a healthy 7lb 5oz and from the moment G and I laid our eyes on him, we were mesmerised and fell head over heels in love. Meeting him for the first time was truly special. For months, I'd be wondering what he looked liked, whether he'd have my eyes or how much he would look G. Turns out he is definitely a mini G with daddy's nose, mouth and ears! 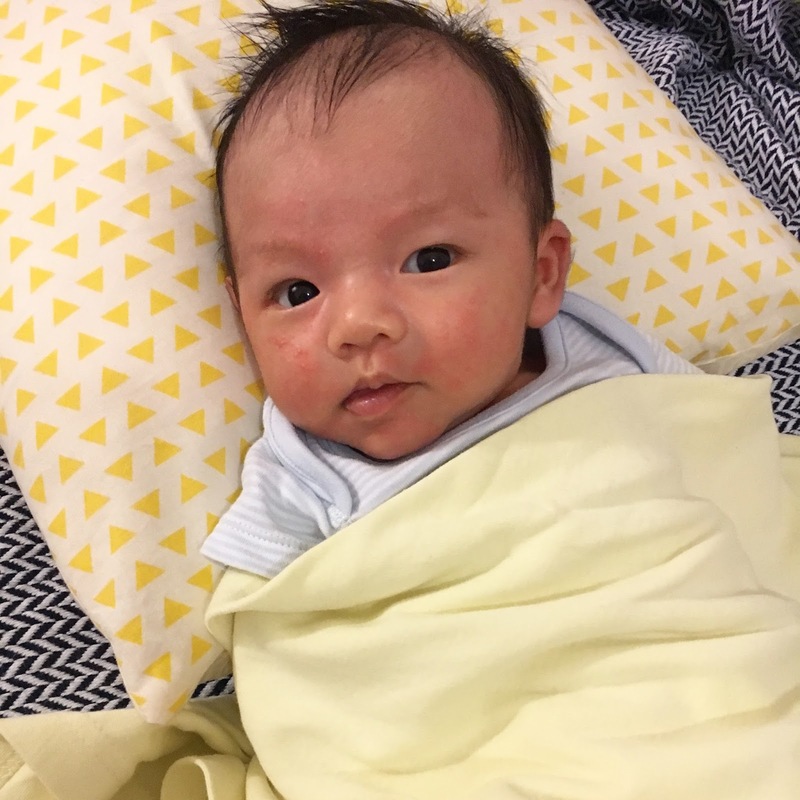 It's been almost 6 weeks since he was born and everyday has been filled with love and laughter at his little expressions and his baby cuteness. Watching him grow and seeing his face change every day is something I look forward to with every waking moment and he's the last thing on my mind before I fall asleep. Getting to know our baby has been an elation and to have friends and family shower us with love and support (and so many presents!) makes the whole experience even more incredible. 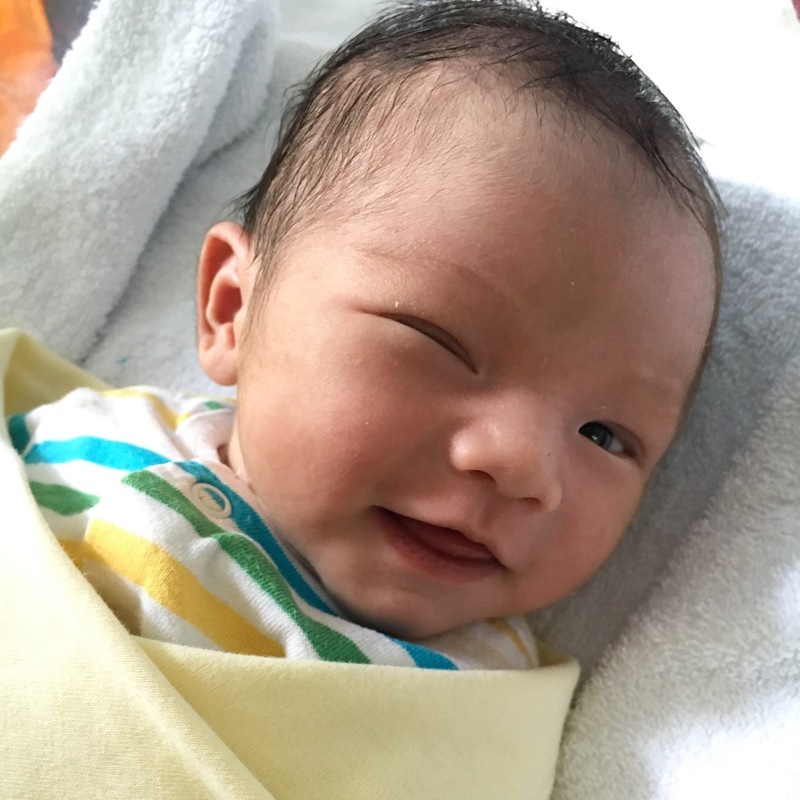 My heart melted when he did his first wink and smile at mummy! I was so lucky I managed to capture this shot. Waiting for this morning milk fully alert. 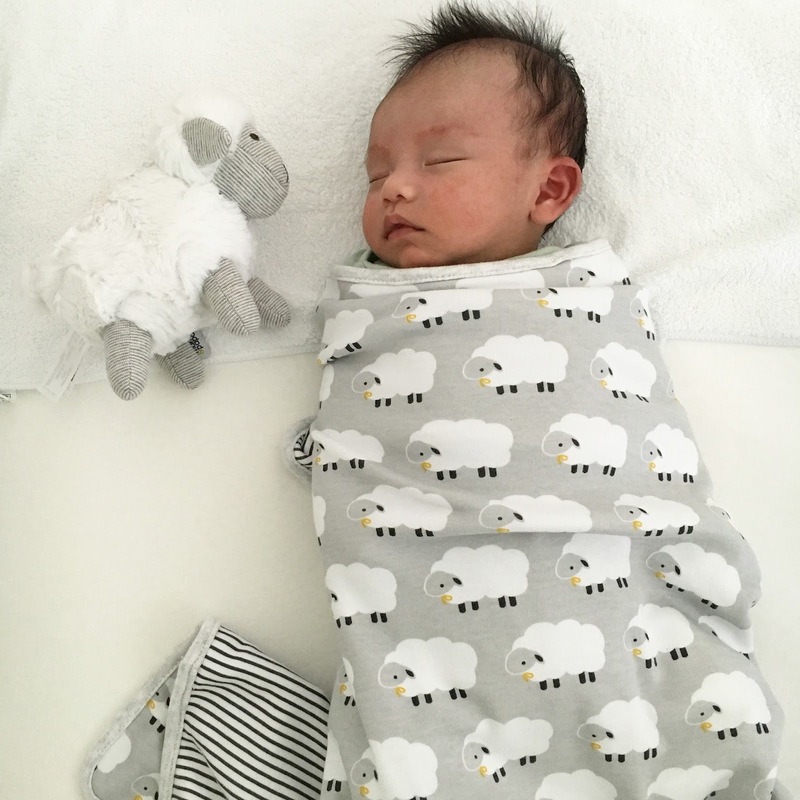 Our little Lam with his lambs! 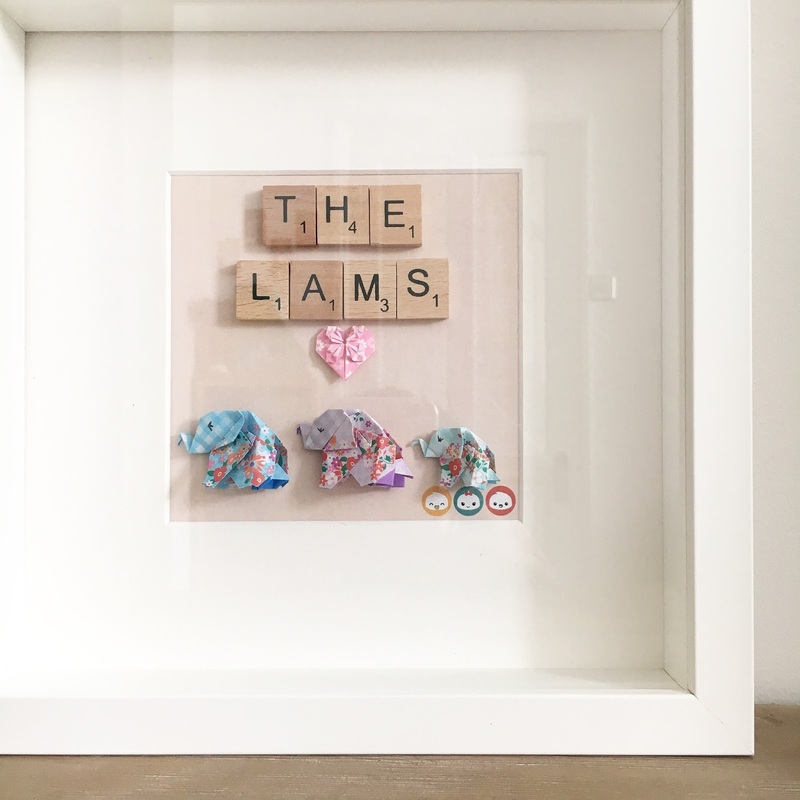 An utterly adorable and super special gift to receive from the ladies at Lil Dimsum. 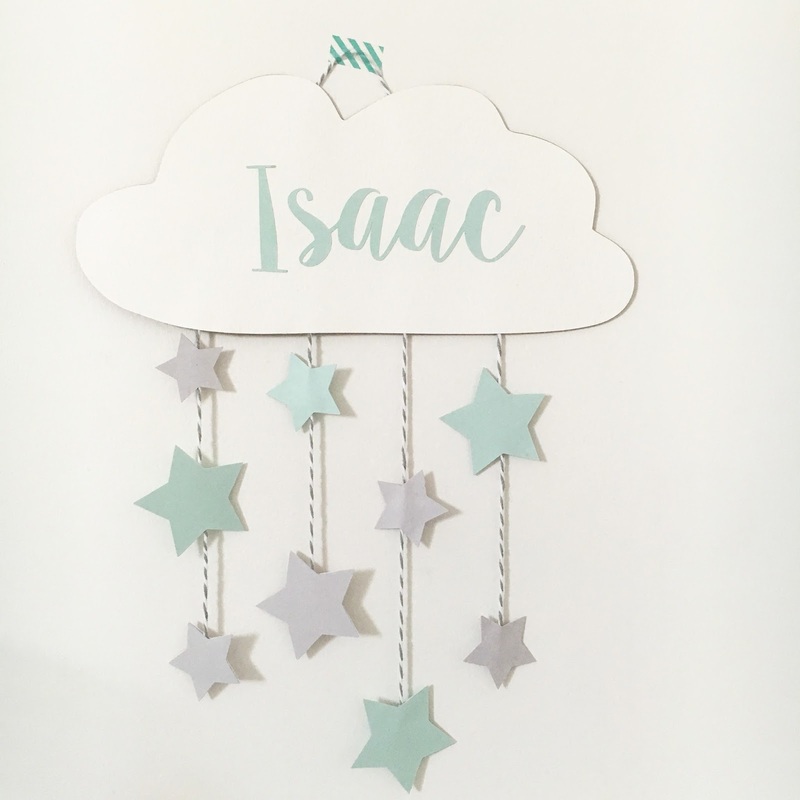 A handmade mobile which hangs over his cot, a gift made by the lovely Tiffany of Yours Truly Celebrations. Welcome to the world Baby Lam. He's too cute - can't wait for him and Nicole to finally meet!